Lando, Crowlers, and Sour IPAs. Before we begin… This post is about three things: The shelf life of Crowlers, Billy Dee Williams (Lando Calrissian), and Sour IPAs. I swear by the end this will all make sense and the three actually belong together. The Crowler is wildly popular. It should be, they are great. I love picking up a new Crowler from either Al’s of Hampden or from ZerØday Brewing. I have purchased a Crowler from East End Brewing co. in Pittsburgh and from St. Boniface Brewing in Ephrata. I generally keep a 32oz growler in my car. But with Crowlers, the need to keep a glass bottle rolling around the floor in the back of the car is somewhat abated. Al’s of Hampden was the first in Central PA to get a Crowler, instantly it was a hit. The popularity of Crowlers became very apparent to me when Al’s Pizza Boy Brewing released Bourbon Barrel Aged Sunny Side Up Stout. It was a phenomenal beer. BBA Sunny Side Up was only sold on draft, which meant that you could have a glass at the bar or get a Crowler of it to take home. That was until Al sold out of all his cans. This led to some really pathetic bitching on social media by entitled beer drinkers. Part of why the Crowlers sold out was a number of people buying 6, 8, 10, or 12 Crowlers to horde in stock or to trade. In December, I got into a bit of snit with some guys on Twitter that were talking about still having cans of BBA Sunny Side Up in their fridge. What are you holding on to beer in a Crowler for? If you look today over at Beer Advocate you can see two people are still offering this beer for trade. In February it was four. FOUR. This beer was tapped nine months ago. These Crowlers have been sitting for nine months. Buy the beer, take it home and then drink it. Enjoy it. Crowlers are not like the beer version of freezing Han in Carbonite. “Yes. He is alive and in perfect hibernation. Speaking of Lando… I wonder what it would cost for Billy Dee Williams to cut a Colt 45 like promo for Lacto Calrissian. It is a sour double IPA, also by Pizza Boy, and one of the best damn beers I have had so far in 2016. This lactobacillus bacteria “infected” ale has a depth of flavor few beers can match. There is citrus peel in the front end then a subtle alpha acid hoppiness along with some unique lime in the middle. The finish is both creamy and slightly sour as the lactic acid is more than evident in the beautifully bodied brew. The finish is strong and long lastingly pleasant, which is good because this 8.2 ABV ale has no alcohol burn and could sneak up on you like Greedo. If you have a chance to swing by Al’s and get a draft of Lacto Calrissian I doubt you will be disappointed. And if you choose to take a Crowler of it home… Don’t sit on it. Post Script Thoughts: Sour IPAs, like Tropical or Citrus IPAs, are hot right now; like Tatooine and her two suns hot. These twists on the the craft beer lover’s old stand by are showing that we are a long way from brewers running out of innovative ways to give us new and exciting styles. It is also a way to introduce sour beer to the skeptic. Both are good things. In regards to the above mentioned people buying 4, 6, 8, 10 or 12 Crowlers of BBA Sunny Side Up: Do what ever you want with your money. I have no complaint with you purchasing all that beer. I just find it ridiculous to horde a Crowler. That stuff has a serious risk of going bad. It has to be at risk of going flat. Please… don’t horde Crowlers. Han shot first. There is no debate. MS Paint FTW! I mean, just take in the work at the top of this page. Just look at it! I am bit of a Star War’s geek… so this post was more fun than you can possibly imagine. The Serial Podcast is one of the many and various podcasts I listen to during my long commute from Lancaster into Harrisburg every day for work. Season One of Serial was innovative, enlightening, and enthralling. For a story about a 15 year old murder of a young girl it was highly entertaining and at times fun. The story of death of Hae Min Lee, Adnan Syed’s conviction, and the gaps that appear between reasonable and doubt when it comes to justice sucked me in week after week. Season Two of Serial tackled the politically charged story of Bowe Bergdahl, a man who deserted his unit in Afghanistan. This season, in my opinion, is not as enthralling or as interesting. The story of Bowe Bergdahl is weighted down with a deep political gravity warping peoples ideas of the story with preconceived notions of what Bergdahl did or didn’t do by walking off his military base; myself included. Season One featured a case no one knew and people came with a blank slate. Season Two had none of that, it was dripping with preconceived notions of what Bergdahl did, why he did it, about the price paid for his return, and what should happen to him now that he was back in America. Season Two is reporting, in depth, a story that has to be told; that people need to hear. This yeoman’s work of journalism of telling a massively complex story is just the type of work Serial’s Sarah Koenig and the This American Life staff need to tell. But Season Two…it’s hard to enjoy. At times it is like eating your vegetables. The story is one that has to be told and should be heard, but it can feel heavy and lack the surprises, twists, turns and interest of Season One. It is weighed down in a way that the first iteration was not. Samuel Adams’ The Nitro Project feels kind of the same. For years Samuel Adams was doing the yeoman’s work of bringing craft beer into the forefront and building a nationwide distribution. Samuel Adam Boston Lager was a remarkable beer when it first hit the market and it continues to be a great beer when you are looking for craft in a bar with nothing but Bud and Coors on tap. Jim Koch has been an evangelist for craft beer and has been nothing but good for the industry. Koch is known for innovating and pressing the envelop when it comes to brewing beer (See: Utopias or Infinium). This latest move, Project Nitro takes a well established technology (nitrogen infused beer in a can) and adds a little bit of a twist (white ale and IPA in a nitro can, not just the usual stout). Infusing beers other than stouts with nitrogen has been an interesting way to put a twist on well established styles at craft beer bars for years. Using nitro and their very tiny bubbles to make a hoppy IPA creamy with a silky mouthfeel yet bitter floral bite for beers like Sculpin or Green Flash IIPA was interesting. The Nitro Project takes this same occasionally seen concept from your local craft beer bar and puts it in the hands of a broad range of consumers. This is taking a story that should be told and giving it a wider audience. Sam Adams has put out three beers in nitro cans: White Ale, IPA and Coffee Stout. I bought a four pack of each and while none of them are world beaters or going to change the way the experienced craft beer drinker thinks about their favorite beverage, it will get a wide audience exposure to a different way to enjoy craft beer. 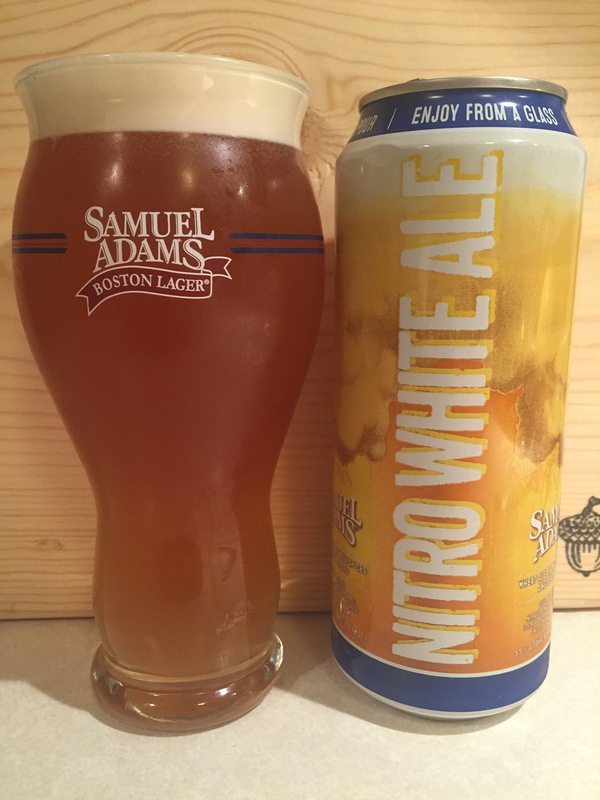 The Nitro White Ale was the best of the three, The grains of paradise, a frequently used ingredient at Samuel Adams, comes through in the finish and provided a nice spiciness at the end of this 5.5% ABV, medium bodied beer. It’s a refreshing beer that is easy drinking and pleasant. The Nitro Coffee Stout has the most difficult time right out the gate. Exceptional coffee stouts served on nitro are beyond ubiquitous. The Sumatran coffee flavors in this example provide a good roasted flavor but the body is as thin as its two brothers. The lack body here gives the beer a lack of substance as beer goes down. If this brew could really up the body and have a thicker, fuller texture it would go a long way as the flavor profile was approachable and balanced. Not too long ago I tried Guinness Nitro IPA. That experience made me a little worried about trying Samuel Adams’s version. The Guinness idea of an IPA ended up being poured down the drain. It was bad…awful on multiple levels. The Samuel Adams version was better but it too fell flat. There were hops but they are at best muted. The pine, citrus, and floral notes just never quite showed up in significant amounts to really make this beer good, let alone great. I can’t say I disliked the Boston Beer Company’s attempt but I didn’t like it either. It just was kind of… there. Taking up space in my fridge until I drank it all. The Serial Podcast Season Two is telling a story that should be told. Samuel Adams is brewing a beer that some people should try so as to get the exposure to a different way of enjoying craft beer. In the end both are worthy, and in some cases necessary and important. I am just not overly excited about consuming either at this point. Post Script: I had multiple reservations about doing this post. i.e. I was in danger of becoming overly political. I was not looking to make a judgement call on Bergdahl’s actions. Also I do not take the death of a young high school girl or the pursuing miscarriage of justice lightly even though years later it created an amazingly compelling story. Hell… I don’t even know if the above comparison makes sense. But when you have a one hour commute, each way, every day you tend to have some really strange ideas sitting in the car by yourself. If you think this post didn’t work… that is cool. Just tell me so and we can all move on and I can try to do better the next time. Until then… Cheers! Boxcar Brewing Company in West Chester has been a regular stop for me when I travel out to the area. I always enjoyed swinging by the old brewery located in a small industrial park. I would pick up a couple growler fills and later as they grew, some six packs. Boxcar’s Mango Ginger IPA was always a hit and worth the stop by itself. Recently, Boxcar opened a pub/restaurant a short drive from their brewery. It took over a club, The Note, which was owned and operated by Bam Magera of Jackass fame. I never had the pleasure of visiting the old haunt but the new place, completely remade by Boxcar, is a wonderful establishment for grabbing a beer. Delicate winks to the train and hobo themes they use in naming their beers are carried out smartly for a warm atmosphere. Antique luggage and train memorabilia throughout, along with wooden train whistle tap handles provide a nice touch. It has a prohibition feel with enough consideration towards the namesake to make the theme different than other 20’s era brewpub decor. When I visited, the place was playing an excellent mix of swing, Rat Pack and Ska music. Seriously, great music selection. I have a soft spot for Save Ferris. My first beer was Coal Runner Stout (Nitro) served in a beer can glass. This Irish Dry Stout had plenty of coffee notes in the nose. Roasted malts and chocolate flavors in the middle were accompanied by a creamy and thick mouthfeel. The finish was very dry and easy. Dolly Flopper Season IPA was the best part of my trip. This floral and citrusy IPA was phenomenal. It had an orange marmalade like finish that was long and sweet and unlike any other IPA. I asked the friendly bartender (Nicole) what hops were used in this beer or if orange peel was incorporated. She did not know. So she just picked up the phone and called one of the owners, Jamie Robinson. He got on the line with me and we talked about Dolly Flopper for about ten minutes. Five hops were used in the boil; none particularly remarkable or unique except for the last one… German Mandarina Bavaria. German Mandarina Bavaria is an experimental hops strain that has strong tangerine and citrus notes. Jamie was really happy with how the beer turned out and he should be. Dolly Flopper was an excellent beer and is highly recommended. The orange marmalade finish completely made the beer. Jamie taking the time out of his busy day to talk with me about his beer and Boxcar’s brewing process was much appreciated and showed the level of interest they have in the consumer. The other seasonal beer that day was Citrus Wit. Cloudy and refreshing this beer is just as advertised. Lemon and orange in the nose and crisp and dry in the finish. Light-bodied and perfect for a hot day or with a light lunch. Boxcar’s flagship beers are all worthy of your consideration but especially the previously mentioned Manger Ginger Pale Ale (especially good when fresh) and Boxcar Passenger Ale. Passenger Ale is a light-bodied mildly hopped drinking beer. A classic pub ale, this one clocks in at 4.7 ABV and goes down easy all day. Taking the next steps and transitioning from brewing and locally distributing beer out of what was an industrial park sized garage to opening a restaurant/brewpub is fraught with issues. The financial implications are serious and the expansion and growth can cause various headaches, if not fatal flaws to a business. To see Boxcar take this big step with aplomb and early success is great news going forward; and good for the area. 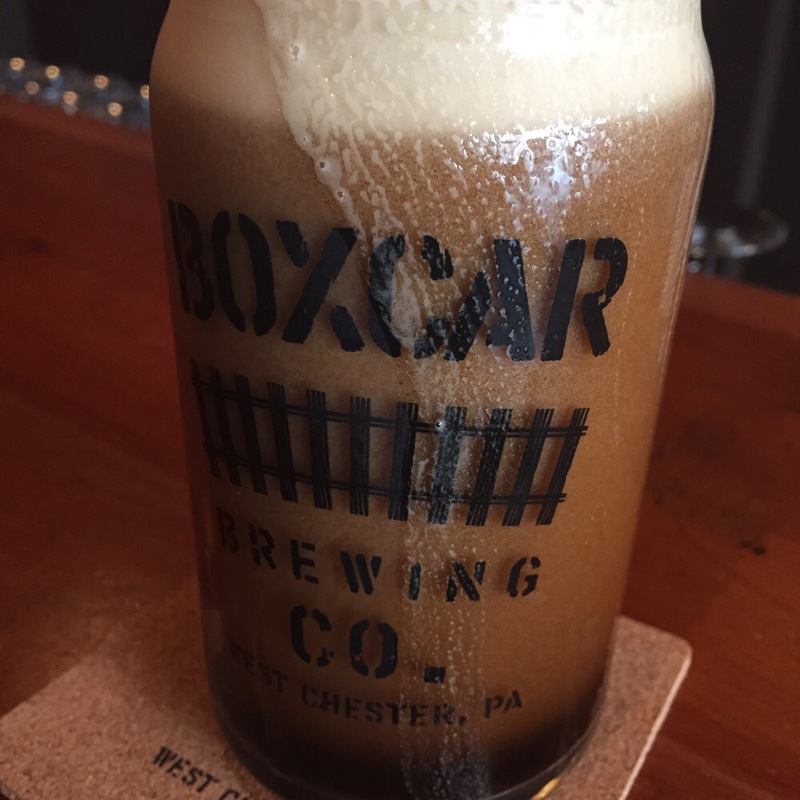 If you are in West Chester I hope you take the time to check out Boxcar Brewing Company. They are making some interesting beers, not just the exceptional Dolly Flopper. Their hours and offerings are on their website. Fresh Flick and a Fresh Beer. This past weekend GK Visual and SaraBozich.com released Brewed in the Burg, a documentary now available online at Vimeo. This film debuted during Harrisburg Beer Week to resounding praise. So I hunted down the freshest local beer I could find to enjoy while watching. I found the perfect beer. It was a Crowler of Pizza Boy’s Murren River IPA; a super fresh batch tapped just two days prior (7/12/15). The Murren River was piney and dank in the nose. Heady as hell, this straw colored American IPA is excellent from start to finish. Well bodied with a great clean mouth feel it providing a firm head that laced the glass perfectly. Murren River had a slight sweetness that was cut with balanced piney and citrus hops. The finish is of orange and a subtle hint of earth and grass. It came with a long dry finish that belies the easy drinking tones. This beer clocks in like a Cruiserweight with 7.6% ABV but drinks well below its weight class. I loved this beer and it merges perfectly with a important quality of craft beer discussed within Brewed in the Burg. Right in the middle, it discusses the importance of freshness. This is the obvious and unassailable advantage of drinking local craft beer. It is impossible to get a beer as fresh as I did today any other way. This matters. It tastes better and you are getting the beer exactly as the brewer intended. The other themes discussed are true of any craft beer community: supporting local business, fraternity between brewers, friendships cultivated among beer drinkers and a love for great beer. The way this film is true to Harrisburg is the people on which it focuses. It could get easily lost that this documentary is about just craft beer brewed in Harrisburg. What Sara and GK Visual have done is weave a story about local brewers, small businessmen and women, beer drinkers and people that write about it or just enjoy drinking it. These are salt of the earth people that are doing extraordinary things in an extraordinary industry. Stick around and watch the outtakes… This was a great reminder that these are just hardworking people; many of them making good on a dream. Craft beer becomes a conduit for telling their story. That is the take away from Brewed in the Burg. The slickly shot and edited documentary is about the people that make the local craft beer industry possible. Please check out the video at http://vimeo.com/gkvisual/brewedintheburg and use the tip jar. 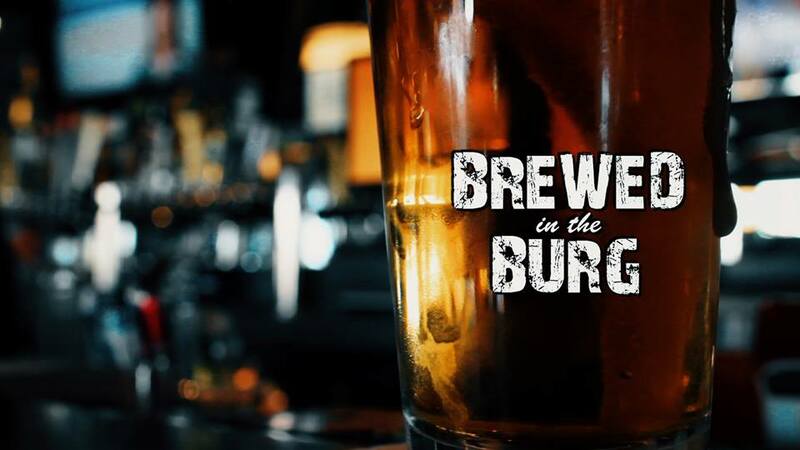 Brewed in the Burg is a movie worth a couple of your bucks. This doc will give you an understanding of how a sublime Intangible Ale, a crisp Sunshine Pils or whatever you are nursing at ZerØday got into your glass. Through people’s hard work and dedication to the craft of brewing beer. Even given the explosive growth of the craft beer industry it may seem strange to say that sleepy little Elizabethtown, PA has two breweries. Moo-Duck Brewery opened eight months ago and has a wonderful location a stone’s throw across from the beautiful train station. Then, this past week Cox Brewing Company opened its doors to the general public for growler fills. A fellow beer drinker and I decided to visit the two during an especially rainy day. What we came to find is two completely different approaches to craft brewing. Our first visit was to Cox Brewing Company. 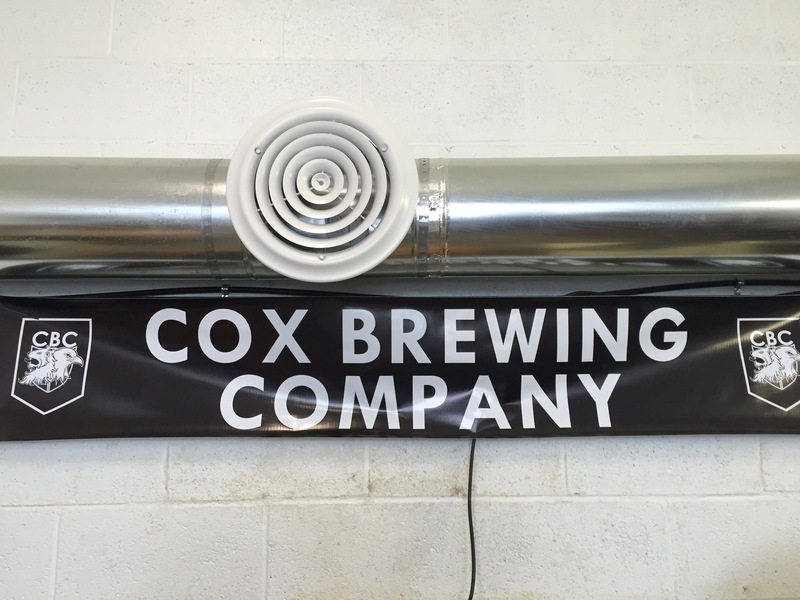 Cox is a veteran-owned brewery started by Nick Cox and Tim Kreider. Pulling up to the industrial park located brewery you immediately get a sense that these guys are passionate about their service to this country and brewing beer. The winks and nods to military service are everywhere but are not overwhelming and tastefully give it character. Three beers were on tap: Liberty Lager, 82nd Amber Ale and CH-47 IPA. Talking with Nick and Tim about the beers showed they had put thought into their product and its place in the local market. Cox makes beer for people that may not have considered trying a craft beer. The three brews are as approachable as the men brewing them. The Liberty Lager is a pale lager brewed for the guy that likes an ice cold Budweiser tallboy but wants something with a bit more bite, or to support a local business. The beer was dry and clean with a easy noble hops bitterness in the short finish. 82nd Amber Ale was the best of the three with a great color and a thick frothy head that sticks to the glass. Medium bodied with a proper malts and hops balance for the style. Tim put this beer as between a Yuengling and Sam Adams and that description nails it. The guy that regularly orders a “lager” at the bar would be wise to consider this one. CH-47 IPA is a crisp ale with a easy drinking bitterness. CH-47 is not bombed out with hops but instead provides a gateway for the first time IPA drinker. Clean in the start with a slightly dry finish it would make for a nice compliment to a burger. Brewing beer requires hard work and can be described as an investment of “blood, sweat, and tears.” For Nick and Tim this looks to be true. They are investing themselves in this business. In fact, Tim lost three fingers building a Jockey Box; due what I assume is to an accident with a saw. Nick and Tim are committed and passionate about both beer and veteran service. When asked if they plan to sell pints at the brewery they expressed a focus on continuing to to serve their bar and restaurant customers in the area. They do fill growlers and offer generous samples at the brewery making it well worth a visit. Our next stop was Moo-Duck Brewery; a short five minute drive from Cox. I have visited Moo-Duck about a half-dozen times since their opening and after about eight months I feel like they are starting to hit a stride. The beers are coming into focus; as exemplified by their two seasonal beers now on tap. Honey! Strawberry Blonde is brewed with 48 pounds of fresh local strawberries, carefully picked and cleaned by hand. By the pictures in the link you can see they are the tiny, bright red variety; these I personally favor. The only thing the beer missed was tiny seeds to pick out of your teeth. Crisp and refreshing but not overly sweet. Its soft pink hue and bubbly light body complimented the flavors well. Strawberry in the nose and slightly tart and sweet in the finish. It was wonderful and the perfect example of what is possible with local seasonal brewing. It is highly recommended. The last beer of the day was Big Sit Summer Ale, another fruit beer made with lemon and orange peel and dosed with orange blossom honey. The citrus tones are evident in the nose and the honey comes across nicely in finish. Light and refreshing with lemon and orange coming though as equals playing well together. Eminently drinkable this is a great beer to enjoy on your back porch. Kristen Brubaker was tending bar and again greeted me with a warm welcoming approach and was quick with a refill of my glass. Talking with her that day and with Mike previously reveals the different approach this couple has compared to their new neighbors. Mike (the brewer) and Kristen are former environmental educators. This permeates their approach to both the brewing and the business. These beers and the food they offer are based on what is local and fresh and are just outside the mainstream. These two breweries are juxtaposed in many ways that provides a fascinating look at the different approaches available within this booming industry. Cox Brewing Company and Moo-Duck Brewery are servicing the same community in different ways; both in brewing style and business plan. While Cox is sticking to traditional styles, Moo-Duck is trying daring variations on the classics. Cox is servicing local restaurants and only recently started selling growlers. 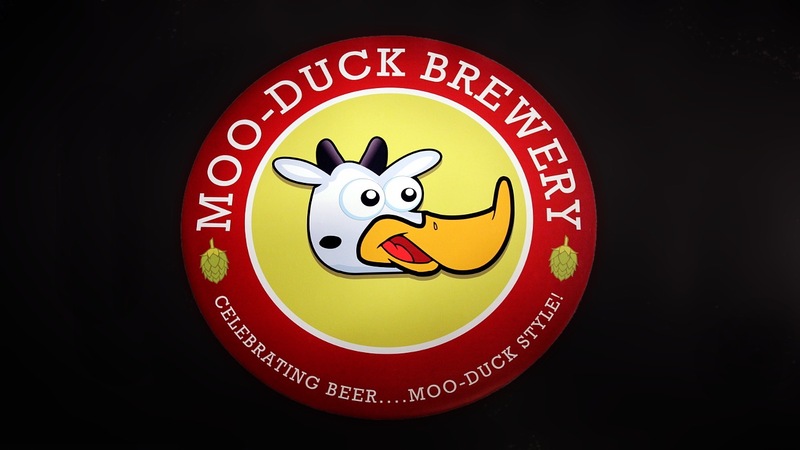 Moo-Duck is slinging the beer at their own bar and only going into restaurants and bars cautiously; as they pointed out in a recent Beer Busters podcast. But both are clearly committed to the community. Cox is partnered with veteran charities that they support and are doing good by those that served. Moo-Duck partners monthly with a local charity to offer a “charity brew” providing 50 cents from each pint sold. Moo-Duck and Cox are both an example of what community brewing is capable of providing. Breweries historically had been and should be part of the community they service. Seeing this develop in Elizabethtown is adding to the quality of the community. “Drink local” is not just a slogan. Drinking local beer is good for the economy and for the industry. So if you are in or near western Lancaster county or just passing through… give these two a try. Some people live a charmed life. Sam Calagione always seemed like that kind of guy to me. 20 years ago this week Sam founded Dogfish Head Brewery in Milton, Delaware. Over the past two decades the brewery has grown into a 175,000 barrel behemoth in craft beer, Sam has become a spokesperson for craft brewing, and few others have done more to move the industry forward. I have the pleasure of visiting Rehoboth about two to three times a year. I have run the Dogfish Dash, and will again this year. The brewery in Milton is a great place to visit and I always make a stop at the brewpub. The brewpub is where to check out what strange one offs and new brews are on tap. When it comes to Dogfish… If they brew it, I will buy it. My favorite time to visit the brewpub is during the off season on Wednesdays. Way-back Wednesday is when they tap an aged keg of beer (at least 2 years old) and offer some tasty bottles for sale out of their cellar. In the early spring of 2009, I purchased two 2006 bottles of 120 Minute IPA, and then I promptly put them away for a special day. 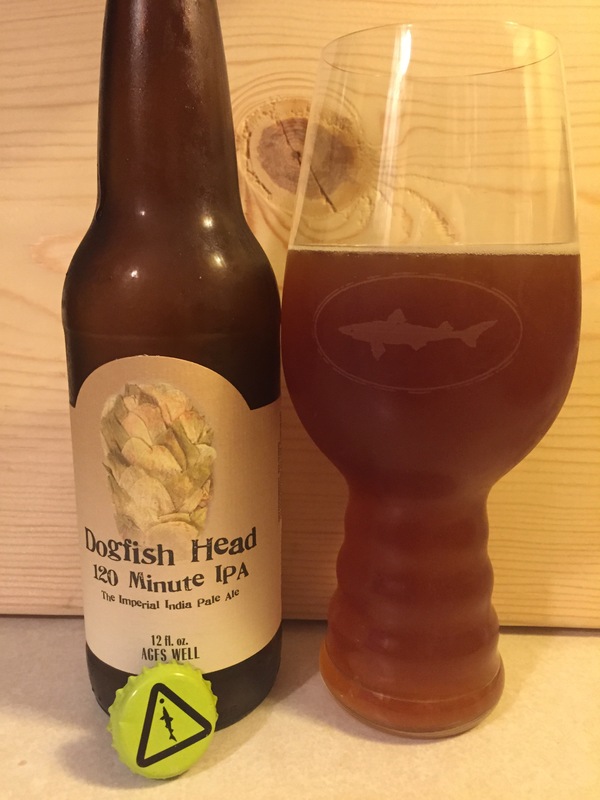 120 Minute IPA is described as “the Holy Grail for hop heads.” Though the “whale” status on 120 Minute IPA has diminished due to ever changing tastes and wider availability, this beer still delivers a phenomenal experience. The two hour boil while continuously being hopped and the month long dry hopped aging process leaves you with a beer that is 15-20% ABV and a palate wrecking level of bitterness. To celebrate 20 years of off center thinking and brewing I opened the nine year old bottle of 120 Minute IPA and poured it into a DFH IPA glass. The aging process produces significant changes in this brew. The hazy golden hue turns to a deep mahogany. The hop oils disappear and leave behind a sweet strong brew. The harsh astringency of alcohol is mellowed; still boozy but more inviting. The nose is somewhat oddly of maple and cherries with a slight orange tone. This full bodied beer comes across as downright heavy. Sipping brings forth rich malts with cherry and brown sugar sweetness. This beer is sweet but without a saccharin-like finish. It’s a proper sweetness. Light in carbonation, and long lasting in the finish, a 12 oz. bottle will last all evening or split perfectly between two. I have yet to find a beer that is capable of such dramatic change via aging as this one. After resting for a number of years it can take on the depth and complexity of a top shelf after dinner cordial. A fresh 120 and a well-aged one are only discernable as the same brew by the label on the bottle. It is a magical transformation. The general rule is “hoppy” beers must be consumed fresh to get all their dank, resin, citrus and pine like flavors at peak. But this beer is the exception. I much prefer it aged 5 or more years and I am very happy that I have many more sleeping quietly in the dark waiting for their day. Dogfish Head and Sam Calagione are champions for an entire industry. They make great beer. Period. But their 20 years of success are not based on a charmed existence or good luck. Anyone that has watched Beer Wars or the short lived series Brew Masters knows that their success is based on hard work, an exacting demand for quality, and unrelenting desire to push the envelope. I think it is clear that this brewery is aging just as well as their top flight beer. They both are just getting better with the years. About dozen years ago, when I first moved to Harrisburg from Pittsburgh I lived in downtown on North 2nd Street. I visited the bar scene along my street three to four nights a week. I worked at a beer distributor as a second job a couple weeknights and on weekends. Back then I considered myself above the average beer drinker because I preferred Guinness and spoke well of Yuengling Porter. Drinking dark beer alone a differentiator and sign of my good taste. Then one cold afternoon more than a decade ago I wandered into Troegs Brewing Company’s tasting room; the one that used to be in Harrisburg. 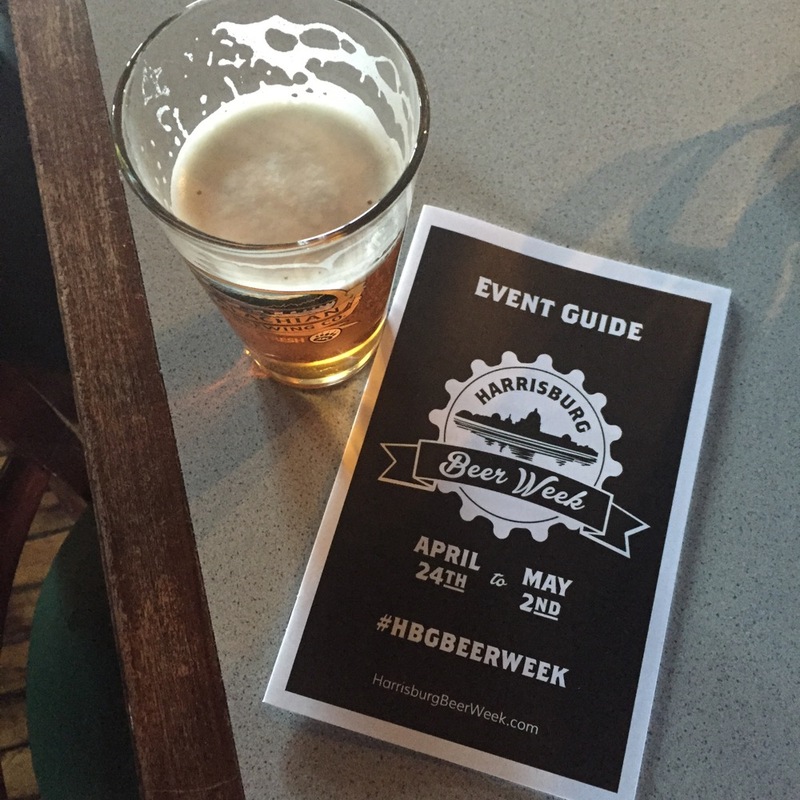 I had a Hopback, a Pale Ale or maybe even a Troeganator… it blew my mind. Here was beer of a completely different nature. It was flavorful in a way I did not know it could be. It was a revelation in every sense of the word. Shortly there after, seeking out other beers of high regard I stepped into Appalachian Brewing Company (ABC) on Cameron Street. Their beers were sweeter and more approachable but no less interesting to my plebe beer tasting palate. Here again was beer brewed with care and respect. ABC’s then brewer, now owner/brewmaster of Roundabout Brewing in Pittsburgh, was my neighbor. This along with drinking regularly at Troegs helped expand my interest in craft beers. So last night at the Harrisburg Beer Week kickoff party, I had a beer that in many ways celebrated not just the region but my own journey to craft beer. (717) Collaboration Ale by ABC, Pizza Boy Brewing (Al’s of Hampden), and Troegs Brewing Company is my history with beer in a can. While Sara Bozich and the ladies at Stouts and Stilettos kicked off what took a ton of work to birth, I was thinking about my decade long journey with beer and the Harrisburg area; the two are woven together. (717) Collaboration Ale is a strange beer that is brewed for a wonderfully strange area code. The area code where it gets its name holds a company town where government is the company. It is also home to some of the most fertile farmland in the country. The area has city life and Amish carriages all at once. Just as the area code is a hybrid, so is this beer. It has the character of noble hops like an IPA with the range of flavors of a Farmhouse Ale/Saison. This beer is hoppy in the front with a pronounced sweetness while providing the long dry finish and Chardonnay tang of a farmhouse brew. Hybrid beers by their very nature are complex but this one is just uncanny in its depth. It starts with a billowy and long lasting head from a vigorous pour that provides a welcome yeast and peppery aroma along with some sweet and sour flavors in the nose. The slightly amber and completely clear and clean appearance are inviting and representative of the exacting standards these brewers demand. The flavor profile provides for a bit of the honey sweetness up front as is typical for ABC beers in my opinion. The middle is all hops with a generous Nugget hop profile that is all Troegs. The finish is long and dry with a proper white wine and slightly sour notes clearly attributed to Pizza Boy Brewing’s history of sublime sours. The ability to definitively pick out the distinct characteristics of the three brew houses is truly unique for this collaboration. This beer is incredibly impressive on multiple levels. The 7.17% ABV ale is easy drinking and sits comfortably in either a standard pint glass to be casually imbibed or savored in a snifter quietly with reflection. It is available on draft during Harrisburg Beer Week at Al’s of Hampden, ABC, and Troegs and will be released in 16 oz cans on Monday, April 27th at distributors in the area. If you get the chance, I highly recommend picking some up. (717) Collaboration Ale gets the Bearcat Seal of Approval.